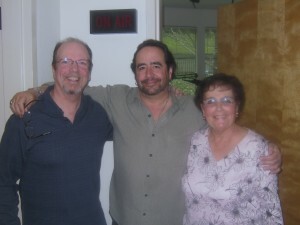 Michael and Jean-Marie with Steve Jaxon, host of “The Drive” on KSRO 1350 AM in Santa Rosa, California. Michael and Jean-Marie were guests on the radio show on Thursday October 9, 2008 and were invited back to be guests again on Wednesday October 15, 2008. On Thursday June 26, 2008, Michael and Jean-Marie made their very first radio appearance as guests on “The David Glass Show” with host David Glass, also on KSRO 1350 AM.